One of the most renowned cafés in Paris and an iconic place in Montparnasse. Inside, there are small brass plates attached to the tables, engraved with the different names of some of the café’s most famous regulars such as Charles Baudelaire, Emile Zola, Théophile Gautier, Honoré de Balzac and Hemingway. In later years, the café attracted such luminaries as Amedeo Modigliani, Pablo Picasso, Oscar Wilde, Charles Baudelaire, Paul Verlaine, André Gide, Louis Aragon, Scott Fitzgerald, Ezra Pound, Jean-Paul Sartre, and Samuel Beckett. An elated James Joyce spent a memorable evening at the Closerie, celebrating the news that Sylvia Beach (a publisher and owner of the iconic bookstore Shakespeare & Co) agreed to publish his controversial novel Ulysses. Gertrude Stein and her life partner, Alice B. Toklas, also regularly visited the café. The place dates back to the 17th century, when it functioned as an inn. It became famous and made its present name – the Closerie des Lilas – in the mid-19th century, mainly because of its close proximity to the Bullier Ball, a famous dance hall in Paris at the time. The café, which owes its name to the many lilac trees (des lilas) planted in the garden, was the place to be before and after the dancing. 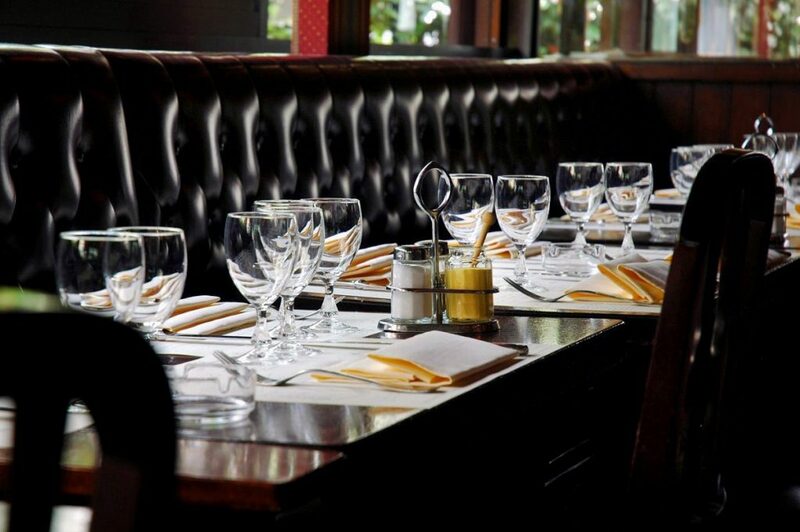 Closerie des Lilas – Hemingway’s “home café”. Photo Courtesy of Closerie des Lilas. La Closerie has well preserved the spirit and the atmosphere of the old times. The interior is warm and inviting with pleasant, low lighting, red stools lining the mahogany bar and live music. In the summer, guests can enjoy the terrace surrounded by lilacs, and dine on a dish dedicated to Hemingway – Le pavé de rumsteak au poivre Hemingway. In the summer, guests can enjoy the terrace surrounded by lilacs, and dine on a dish dedicated to Hemingway – Le pavé de rumsteak au poivre Hemingway. The Closerie des Lilas owes much of its popularity to Ernest Hemingway, who would come here to write his short stories and articles for the Toronto Star. „The only decent cafe in our neighborhood,” wrote Hemingway „was la Closerie des Lilas, and it was one of the best cafes in Paris. ” It became his „home café”. Apart from Hemingway, there were several other writers hanging out at La Closerie at the time, including Ezra Pound, who often interrupted Hemingway’s writing routine and joined him for a morning coffee. The Closserie was also where Hemingway drowned his sorrows after splitting up with his first wife, Hadley. The menu includes a dish created in honor of Hemingway: Le pavé de rumsteak au poivre Hemingway. Photo Courtesy of Closerie des Lilas. 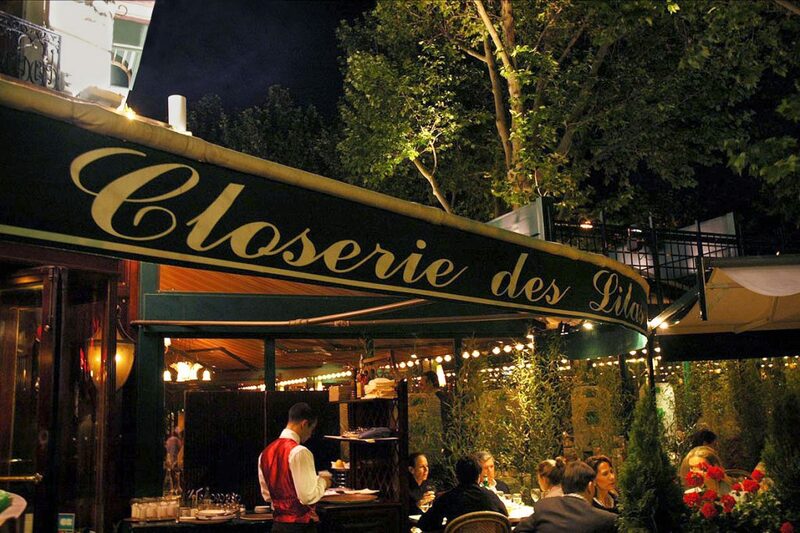 The Closerie des Lilas was one of the favorite haunts of Fitzgerald and Hemingway. One evening in the Closerie, Scott asked Ernest to accompany him down to Lyon to pick up his car, a convertible that he had abandoned due to bad weather. They were to go there by train. Fitzgerald, however, missed the train and Hemingway went to Lyon alone. Scott found Ernest the next morning and they picked up the car – a Renault whose convertible top had been damaged – and departed for Paris. On their way home they were halted several times by rain. Seeking the shelter of trees or stopping at cafés, they spent time drinking at each of their stops. Fitzgerald, however, spent most of the journey behaving like a pampered child complaining that he would get a cold, catch fever and die. Picasso was introduced to the Closerie des Lilas by Guillaume Apollinaire in 1905. The painter met a whole new circle of people here. Fernande Olivier described this place in her memoir as: “Hubbub, uproar, madness.” Between 1907 and 1908, Picasso would come here almost every day. 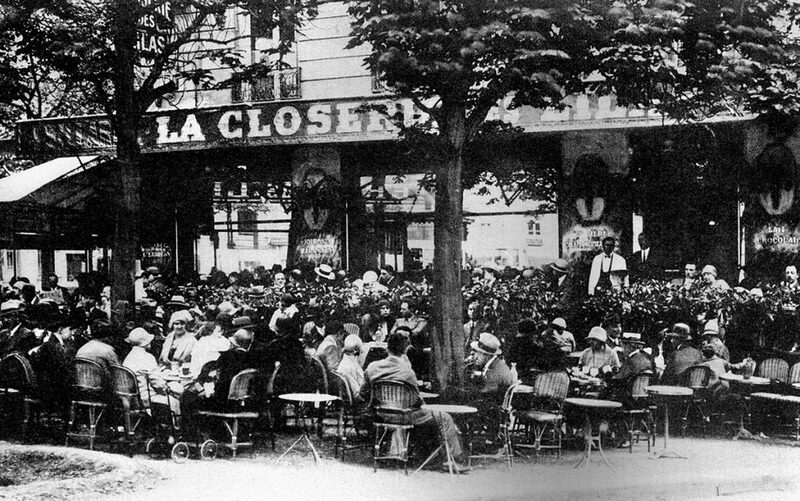 During the Exposition Universelle in Paris in 1900, Closerie des Lilas became known as the place where intellectuals, poets, and artists gathered, drank, and engaged in passionate discussions. 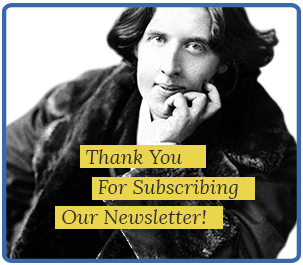 On Tuesday evenings starting at five o’clock, poetry readings were organized fueled with liters of absinthe. Absinthe was also known as “the green fairy” because of its color, psychoactive properties and high alcohol content. It was produced from fermented wormwood and anise. Drinking absinthe involved performing a certain ritual. First, a sugar cube was placed on top of a specially designed slotted spoon. Next, the spoon was placed on top of a glass and filled with a measure of absinthe, after which ice-cold water was dripped into the glass to dilute the alcohol. 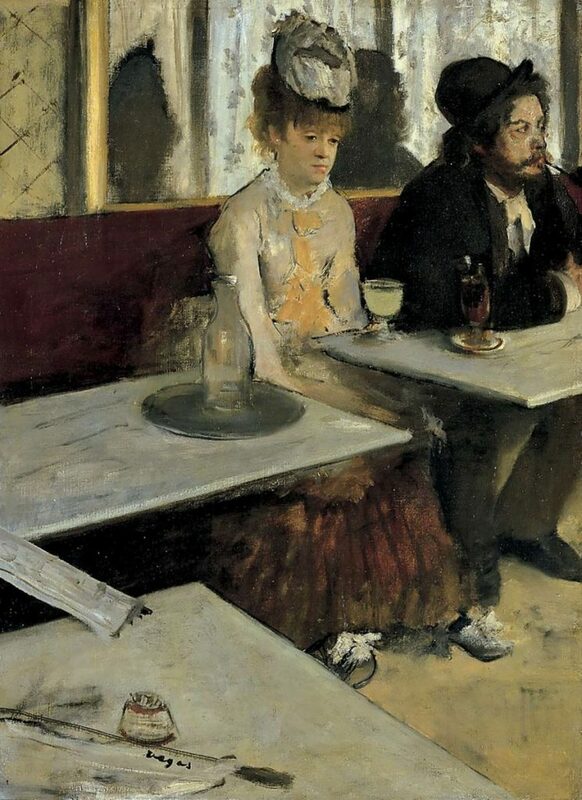 The most famous image of the absinthe drinkers. L’Absinthe by Edgar Degas, 1875–76. The collection of the Musée d’Orsay in Paris. Public Domain. Absinthe was also known as “the green fairy” because of its color, psychoactive properties and high alcohol content. It was produced from fermented wormwood and anise. Drinking absinthe involved performing a certain ritual. Even today the place is flocked by well known artists. 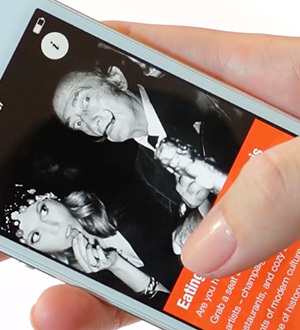 Some of its current habitués include Emir Kusturica, Mick Jagger and Johnny Depp. The literary tradition of the café is upheld by the Prix de la Closerie des Lilas (or the Prix Lilas) – an annual prize (since 2007) awarded to contemporary women writers who write in the French language.